However, the rumors proved to be true. Pitt soon divorced Jennifer Aniston and he and Angelina became public. The world press was highly critical of the pairing, portraying Angelina as the seductive ‘other woman.’ Nevertheless, the pair were in love. The couple would later make their way down the aisle in 2014. In 2006, the couple announced they were expecting their first biological child. The news created a worldwide media frenzy, with tabloids scrambling to document the actress’s pregnancy. They were the biggest stars in the world with thriving careers and a romance that captured the attention of millions. The press soon became unbearable. The couple made the decision for the birth to take place in Namibia, in order to escape the paparazzi. On May 27, the couple welcomed Shiloh Nouvel into the world. Millions waited to see images of the already famous newborn. Three children did not seem enough for the famous pair. 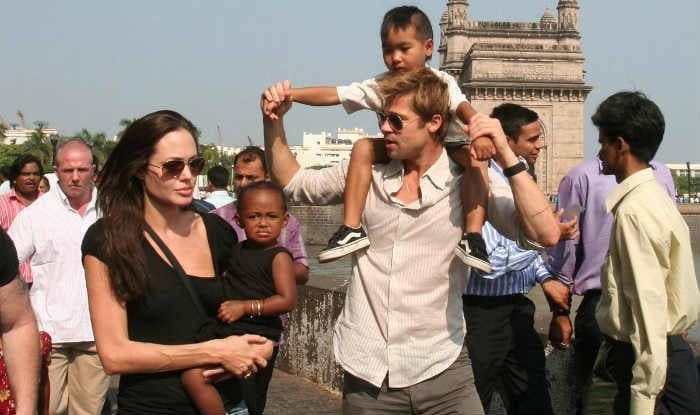 Angelina had always wanted a large and culturally diverse family. A year after Shiloh was born, the actors adopted three year old Pax from Vietnam. Angelina is a proud humanitarian worker and human rights activist, she was determined to offer a loving home to children in need. The clan was growing. 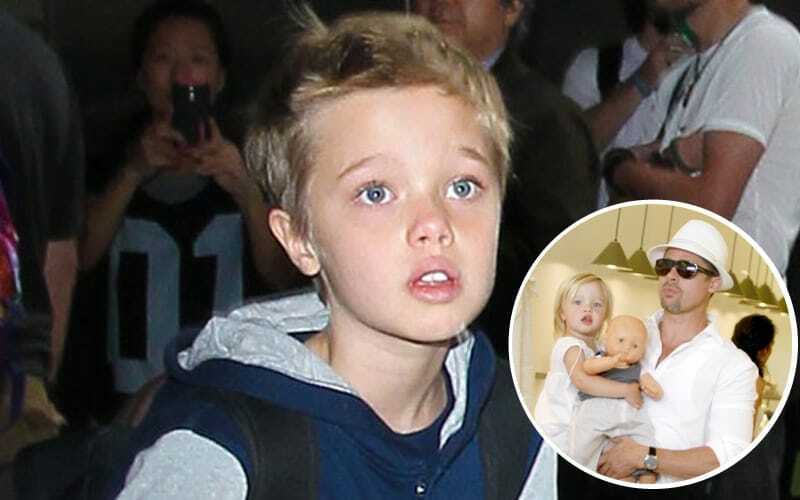 The children were only in Jolie’s custody, but by 2006, Brad was also named as guardian to their many children. The actress also made the decision to change their last names to Jolie-Pitt, signaling that they were one bonded, loving family. Dubbed Brangelina by the press, the pair continued to cause tabloid pandemonium wherever they went. The pair were determined to shield their children from the frenzy, making efforts to keep them far from prying eyes. The Namibian hospital was surrounded by security officials. Only those with a high security clearance could enter the property. Paparazzi who attempted to enter the premises were promptly arrested. The new parents waited for the frenzy to die down before returning to America. The pair reportedly struck a deal with Getty images to publish the very first images of their new child. The hefty sum was undisclosed but is speculated to have been millions upon millions of dollars. In a show of their true nature, every penny was donated to charity. Once Shiloh had been revealed to the press and the couple’s millions of fans, the world seemingly could not get enough of the growing baby. Indeed, she appeared to have hit the genetic lottery with a striking resemblance to both her gorgeous parents. 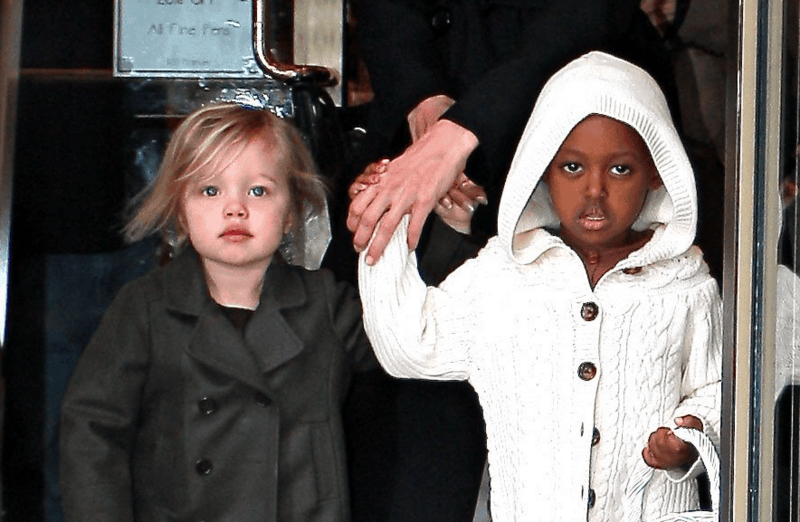 Once again, the Jolie-Pitt brood grew when they welcomed a set of twins, Knox Léon and Vivienne Marcheline, in 2008. $14 Million were paid for the new arrivals first photos. 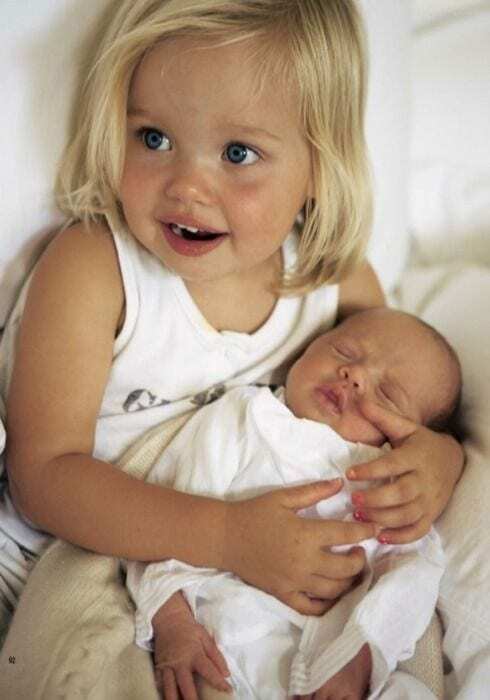 The twins may have stole the spotlight for mere moments, but once again all eyes turned to little Shiloh. The world was fascinated by the growing toddler. The couple still made an attempt to keep her from the public eye but paparazzi often caught sight of the youngster as she made her way through the city streets. With her golden blonde locks and blue eyes, she seemed to get more and more beautiful with each passing year. Angelina has never been conventional woman and it seemed that her eccentric ways have influenced her choices when it comes to motherhood. 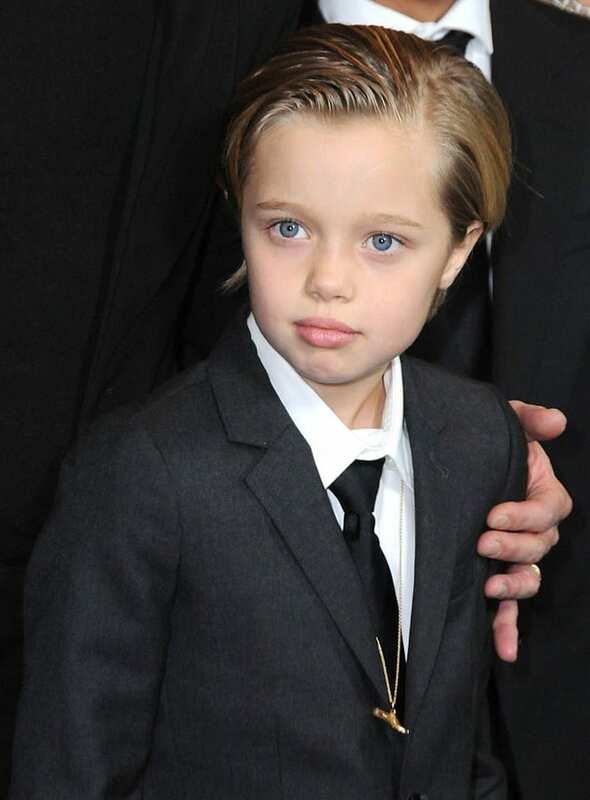 As Shiloh matured, many took notice of the child’s androgynous dress sense. When she did attend Hollywood events with her parents, she didn’t wear feminine dresses but sported suits more fitting for a little boy. 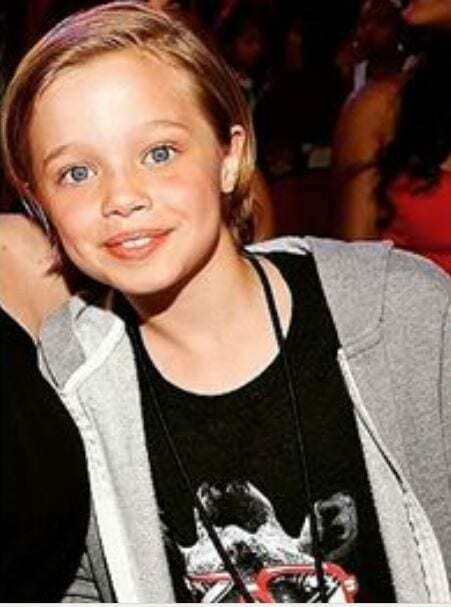 When Shiloh cut her hair short and was photographed at an event wearing a suit, it raised eyebrows. Tabloids pounced on the story, capitalizing on the child’s worldwide fame. 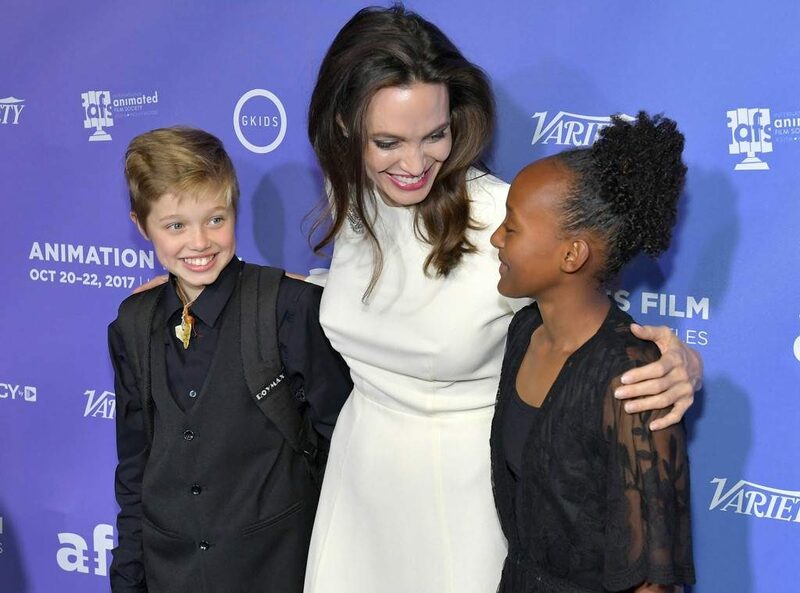 Headlines read, “Why Is Angelina Turning Shiloh Into A Boy?” Many speculated that such a gender neutral approach to her dress sense and character building would lead to damaging problems later in her young life. In the face of backlash, many chose to defend Angelina’s choice to offer her child the freedom to express her unique identity. 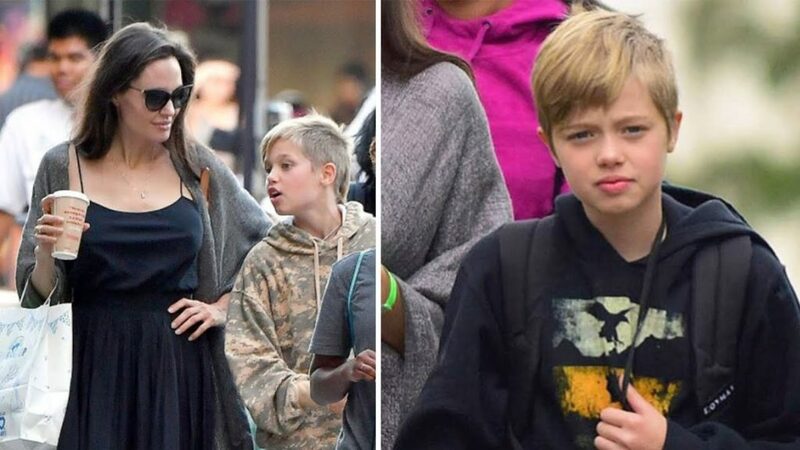 An Equality Society spokeswoman said, “Our society needs healthy, well-rounded children whose interests and tastes are as diverse as the children themselves and are not limited by outdated stereotypes of gender.” Angelina refused to be swayed by the widespread criticism. 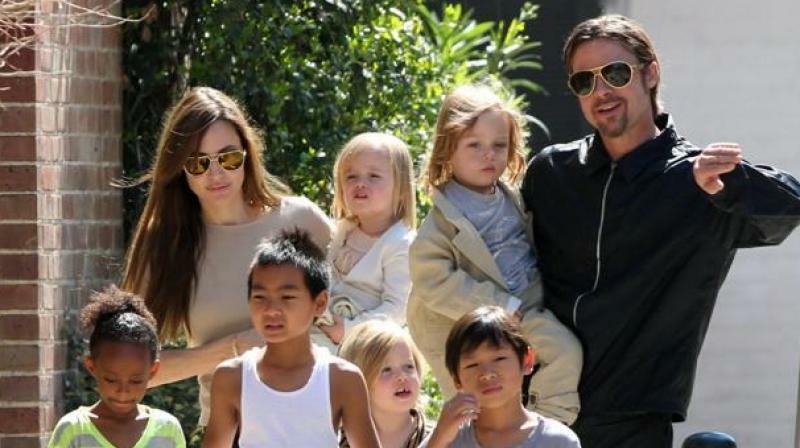 Though they appeared to be the perfect family, the truth behind the Jolie-Pitt’s household appeared to be much darker than it seemed. In 2016, rumors hit the media that the family was in turmoil, that the marriage of the two stars was on the rocks and that a split was imminent. Sadly, the speculation would soon be confirmed. The actress requested full physical custody of the couple’s six children. Shocking reports came to light that Brad and son, 15 year old Maddox, had been in a heated altercation that left the family reeling. Brad denied the claims but many were left concerned for the family’s children. A divorce battle most certainly takes its toll on all those involved. Many Brad Pitt fans were shocked by the rumors that plagued the divorce proceedings. Previously known for his gentlemanly and compassionate demeanor, many soon questioned the actor’s true character. After an investigation was made by Child Protection Services, Pitt was cleared of all troubling allegations made against him. The ongoing divorce battle has turned nasty, with both sides publicly fighting to appear on the winning side of the press and public’s favor. It seems young Shiloh has had enough and is desperate to share her take on the bitter proceedings. Jolie has accused the actor of not paying meaningful child support and Brad fiercely claiming she is only trying to manipulate media coverage. Recent reports have declared that the divorce battle is far from over, with many speculating proceedings could last longer than the couple’s marriage. The legalities have already lasted over two years. Legal costs are apparently nearing $5 million between both the superstars. The battle appears to be stalled by the couple’s inability to agree on the terms of their children’s custody. Only time will tell how the bitter divorce battle will end. While the eyes of the world remain firmly on the famous family, Shiloh continues to grow into a refined and formidable girl with a personality that is truly unique. Who knows what the future holds for this young and famous face.